Here is a quick guide on adding user photos to your Google My Business listing through Google Maps. This is helpful if your location was not built at the time of the streetview photoshoot, or if you would like to add some quick pics of the exterior or interior of your store. 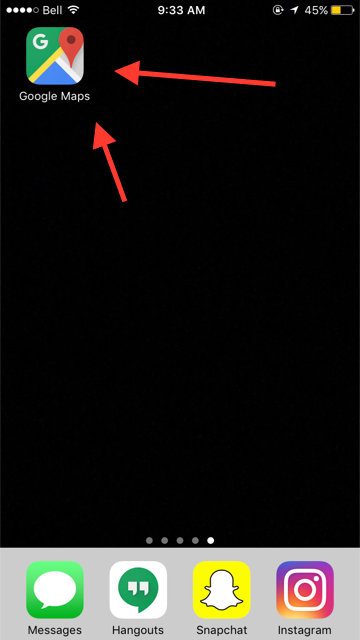 This can help Google validate the location of a pin, and have more confidence in the location information if there are lots of photos to refer to. Potential customers looking for your business on Google Search or in Maps might also appreciate some exterior/interior shots to know what to expect when they visit. An Android smartphone or iPhone or tablet. If you don’t have a Google Account you can create one here. This task can be done by anyone (store owner, manager, employees, customers). You do not need to be a manager on the Google listing to add photos to the location. Download and open your Google Maps App. 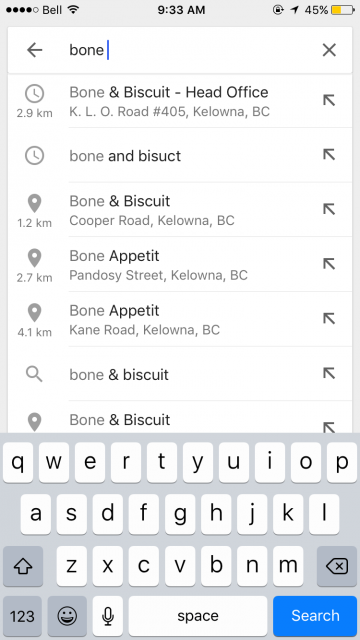 If you have an iPhone make sure you are using Google Maps. Apple Maps is different and will not work for this exercise. Search and find your business or store location. Select to either take a photo or upload from your library. That’s it! 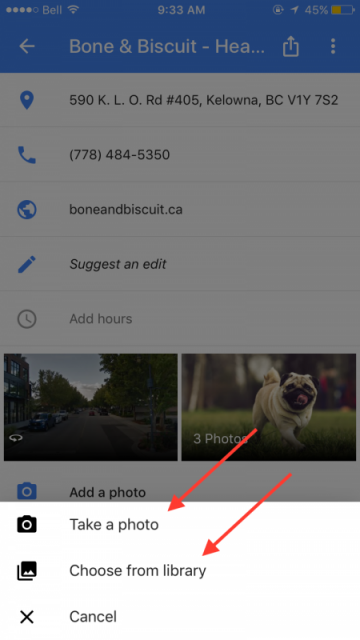 There’s a quick (and often overlooked) way to add some user-generated photos to your Google My Business listing. If you are the owner or manager of the listing, you can download the Google My Business App. This makes it easy to update hours of operation, respond to reviews, and more. 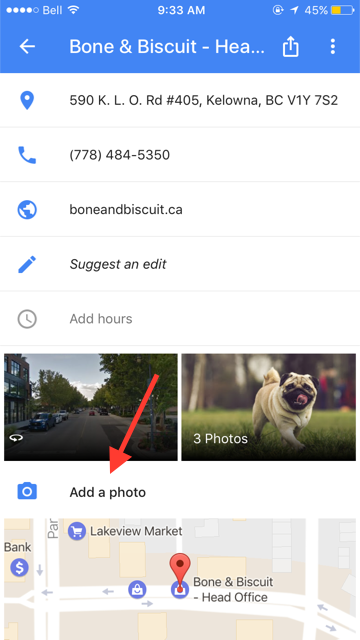 Now that you’ve added photos to your Google listing, why stop there? Make the most of your interior and exterior location photos by adding them to your TripAdvisor and Yelp profiles. These are very popular for SEO and helping potential customers build trust in your business!